Gone are the days where I rely only on my toothbrush. Since last year, I started to floss more regularly. Reason because of a large gab between my teeth. But starting this year, I made sure I floss my whole teeth every night before going to bed. It’s quite tedious I tell ya. Then a recent trip to the dentist changes everything. I was introduced to interdental brush. 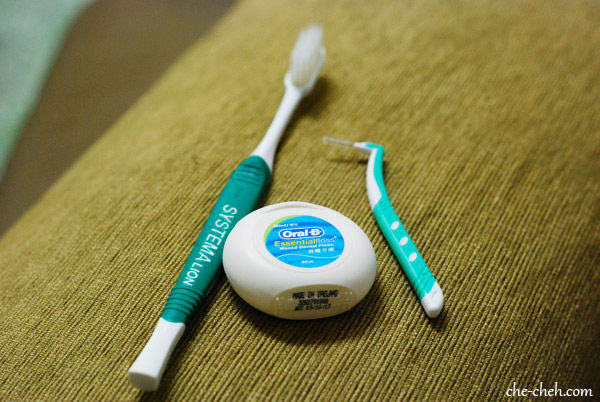 This interdental brush can clean those hard to reach corner like your wisdom tooth area. I love this brush man! Why I never realized this awesome brush before is beyond me. I knew I’ve seen it at the pharmacy but I always thought it was for something else. So thank you doctor for introducing the interdental brush to me. So my nightly oral care now involves brushing with toothbrush, flossing and then brushing with the interdental brush. Long process alright. I know I can keep it up. Btw, I’m sure you’ve notice I have a new blog layout. It’s simple and mimic my old layout quite a bit. The reason I changed layout because I want to make my blog mobile-friendly. This new theme is a responsive theme. Now you can surf my blog with ease whether you’re using desktop or mobile. Hi Dawn, good to know it’s speedy. The new responsive layout works quite well and smooth, nicely done! Wow gonna give it a try. Does it mean you don’t need to floss if used interdental brush? When first used did your guns bleed? Hi Adino, I still floss. I use the interdental brush for the wisdom tooth and for cleaning the big gab between my teeth. Yeah my gums bleed when I use initially. Thanks! I might implement the same layout to my food blog. Lazy to find another layout. Haha Plus I like it.